College of Legal Studies, UPES, Dehradun in collaboration with Surana & Surana International Attorneys, Chennai is organizing an International Essay Writing Competition and inviting participation from the eligible participants. Eligibility: The competition is open to students who are pursuing their B.A., LL.B. / LL.M. / Ph.D. / M. PHIL or any other undergraduate or master course (other than Law) in any university across the world. Theme: Convergence of energy and environment sectors: legal perspective. Hydraulic fracturing of oil and gas: challenges and proposed legal framework. 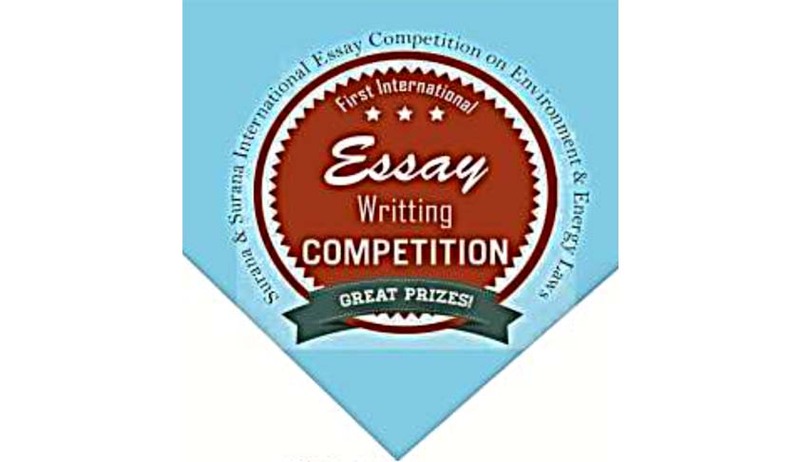 Consolation prize: Rs.1000 each for 12 selected essays. Essays to be submitted in .doc/.docx format only with 12pt font size and 1.5 line spacing on Times New Roman Font. Footnotes shall have 10pt font size and no line spacing. A footer numbering pages as “page a of y” on the right side of each page. Essays (including footnotes) should be not more than 4000 words. The submission of essay on one single .doc/.docx format file shall consist of an abstract, essay and bibliography. The content of the abstract should not be more than 200 words including the title and keywords. Footnotes must conform to authoritative standard rules of legal citation and must include a description of each authority adequately to allow a reasonable reader to identify and locate the authority in a publication of general circulation. Cover page containing name of participant, Nationality, address, e-mail-id, contact number, Course and class presently attending and name of college/University with address. Only one submission is allowed per author. Co-authorship to a maximum of two authors is permitted. Scanned copy of completed Registration form is to be sent along with essay. The registration form must be signed along with seal by the head of institution / University (For registration form, see the last page). Last date for receiving essays and participation form: July 31, 2015.